None of this would surprise Isa Nevsky in Toronto. A diagnosis of Stage 4 colorectal cancer led this 57-year-old former nursery-school teacher and mother of three sons to a variety of alternative healing methods, including yoga, meditation and art therapy. Never a confident writer, Nevsky has nevertheless found jpurnal writing to be one of the most important therapies in the 14 years since she was told she had just six weeks to live. This was especially true after she joined “Writing for the Health of It,” a program for cancer patients and their families provided through Wellspring, a network of cancer-support centres. Instructor Ariella Damelin, who did her doctorate in education with a focus on narrative inquiry, provides a variety of writing exercises for participants to work on each week for eight weeks, culminating in a personal writing portfolio. None of Damelin’s exercises, however, involves writing about being sick. 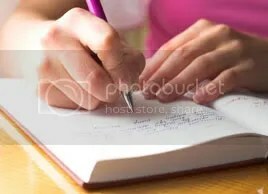 Prompts such as “write about a book that changed your life” or “write a letter to yourself as a child”—without regard to grammar, spelling or the “inner critic”—lead to narratives that may or may not touch on illness, but often uncover meaningful old stories and relevant new perspectives. “I’m interested in the power of story to create a feeling that you have a life that’s worth living, that you are not defined by your cancer—it’s only one part of you,” explains Damelin. James Pennebaker, chair of the department of psychology at the University of Texas at Austin and a pioneer in the study of writing as a healing tool, says he’s not interested in whether journal writing makes people “feel nice,” but only in empirical evidence of its ability to improve physical well-being—and he’s found that in abundance. His research involves writing about trauma. While popular theories hold that disclosing emotions and secrets is always beneficial because repressing them is hard work, Pennebaker’s research doesn’t support a public confessional approach. He favours writing that isn’t done for an audience. In some of his experiments, the participants even benefited from writing that was thrown out without having been read by anyone else. Pennebaker believes there’s something about the act of writing itself that helps us change how we feel about our lives. And he’s discovered that certain forms of writing may be better than others for the healing process. As with talk therapy, it appears that imposing some structure on writing and building a new narrative—as opposed to rehashing the same old stories and feelings over and over again—provides a perspective on and distance from life events that help us figure out what those events mean and how to handle them differently. In fact, writing only the details of traumatic events or writing only about our emotional responses can actually do more harm than good. It’s the combin ation of the two that seems to boost health. And he has written a workbook with exercises that anyone can do on their own with no need to share. Writing therapy doesn’t work for everyone, says Pennebaker. There’s no evidence that daily writing over prolonged periods is fruitful, either; he suggests using it on an as-needed basis. He’s now studying what happens when writers change perspective by shifting from first person to third person (“I” to “she,” for example), based on the theory that the entirely self-absorbed writer may gain little insight, but that we may be able to better understand our tribulations by looking at the world through the eyes of others who were involved. Dr. Allan Peterkin, a psychiatrist at Toronto’s Mount Sinai Hospital, takes a more public approach. He helps run a writing therapy group for people living with HIV/AIDS and asks participants to use the same narrative tools that professional writers employ—such as specific detail, strong verbs and dialogue—to write a non-fiction story with a beginning, middle and end. No one is pushed to address issues they find too painful to face. “We encourage them to write for an im agined audience to flush out the story and make it fully comprehensible to others as well as themselves,” he says, adding that participants read their stories aloud to the group, and have published them in a book. Public or private, the key is finding what works. Tasha Westerman, a 35-year-old human resources professional and mother of a toddler in Calgary, has been battling breast cancer while her husband deals with a brain tumour and her best friend with leuk emia. She tried writing in one of the many blank journals people gave her after her diagnosis, but it would never stick. “Writing to myself didn’t have much meaning,” she says. Her sole motivation in starting a blog was a practical one: “I felt a lot of pressure with so many supporters always calling the house or emailing, wanting to know every day how things were going.” Her blog relieved that pressure, but it proved rewarding in other ways, too.